It is still not too late to book a nice cheap cruise for the fall or winter months and visit a beautiful warm or even chilly place, depending on where you wish to go. On the top you can find a weeklong Mexican Riviera cruise starting from $809 per person. If you get this deal, you can sail to Mexico onboard MS Westerdam from the fleet of Holland America. Among the other offers you will see a 14 nights journey through the Panama Canal, again with Holland America, from $1,699 per person, a 7 nights Norwegian cruise to Alaska and the glaciers or another weeklong trip to the Caribbean starting from $599. Hurry, cruises with such great prices will not last long! 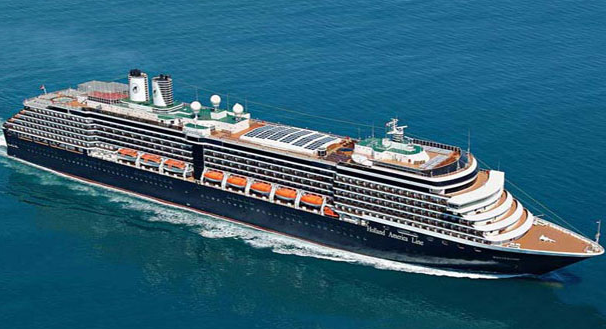 MS Westerdam will depart on its weeklong journey from San Diego, California. The ship will spend its first day at sea and then stop for an excursion in Cabo San Lucas in Mexico. The day after MS Westerdam will visit Mazatlan and after that, Puerto Vallarta. After two more full days at sea, the ship will disembark in San Diego. Interior rooms on this weeklong Mexican Riviera cruise start from $809, oceanview cabins can be booked from $829, verandah rooms from $1,142, signature suites from $1,613 and neptune suites from $2,060. If you are a smart traveler, you know how important research is when planning a trip. Select a few providers and compare them for the date and cruise line you prefer and then pick out the one you like the most. This entry was posted on Monday, August 15th, 2016 at 10:29 am and is filed under Cruise Deals. You can follow any responses to this entry through the RSS 2.0 feed. You can leave a response, or trackback from your own site.